ESPN has announced a new prime time film titled Tiger Woods: Return of the Roar, documenting the historic comeback season of Tiger Woods. The new prime time film chronicles the 2017-18 season that saw Woods overcome career-threatening back surgery to win on the PGA TOUR for the first time in five years. The film will culminate with Woods’ victory at the 2018 TOUR Championship in Atlanta, the 80th of his PGA TOUR career. It will also include never-before-seen content, including multiple interviews with Woods providing behind-the-scenes access to PGA TOUR events central to Woods’ return, including the Valspar Championship and the TOUR Championship. The film will also feature Woods’ growing role as a leader and mentor on the PGA TOUR, highlighting his role as Captain’s Assistant at the 2017 Presidents Cup and the announcement made in March that he will captain the U.S. Team at the 2019 Presidents Cup in Australia. More than 60 interviews with PGA TOUR players as well as various professional athletes will also be featured, all offering unique context to Woods’ comeback. Woods’ caddie, Joe LaCava, also provides insight on his front-row seat to Wood’s comeback. The film was directed by PGA TOUR Entertainment in conjunction with ESPN. 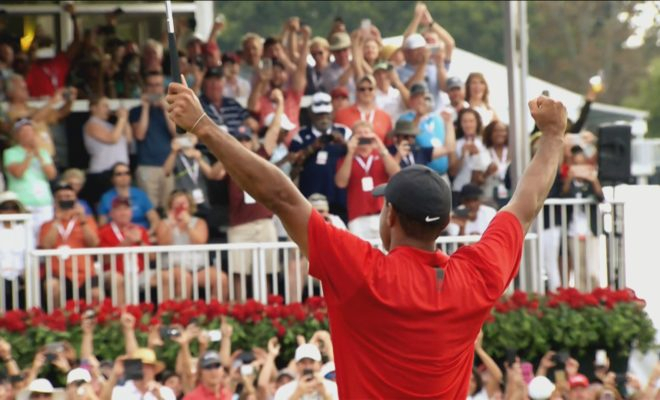 Tiger Woods: Return of the Roar will air on Sunday, December 30 at 9 PM EST on ESPN. 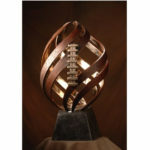 ESPN will announce College Football’s All-Time All-America team as the finale of their College Football 150 initiative, celebrating the 150th season of college football. ESPN announced they will launch the Atlantic Coast Conference (ACC) Network next summer. The Disney Parks Blog announced the winner of this year’s Disney Spirit Award. Former Purdue University student, Tyler Trent, was selected as the recipient of the annual award. 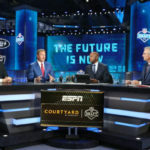 The 2019 NFL Draft is coming to ABC this spring and all three days will be broadcast on the network, with a simulcast of ESPN coverage for the third day.